Paper Flower Hair Piece. CHOOSE YOUR COLORS! Wedding, Bridal, Bridesmaid, Prom. Custom Orders Welcome. 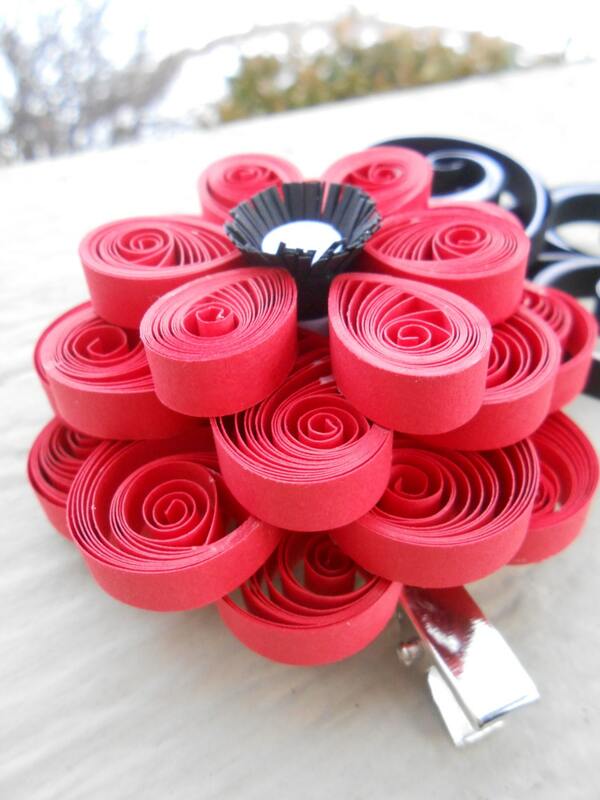 Quilled Flowers. 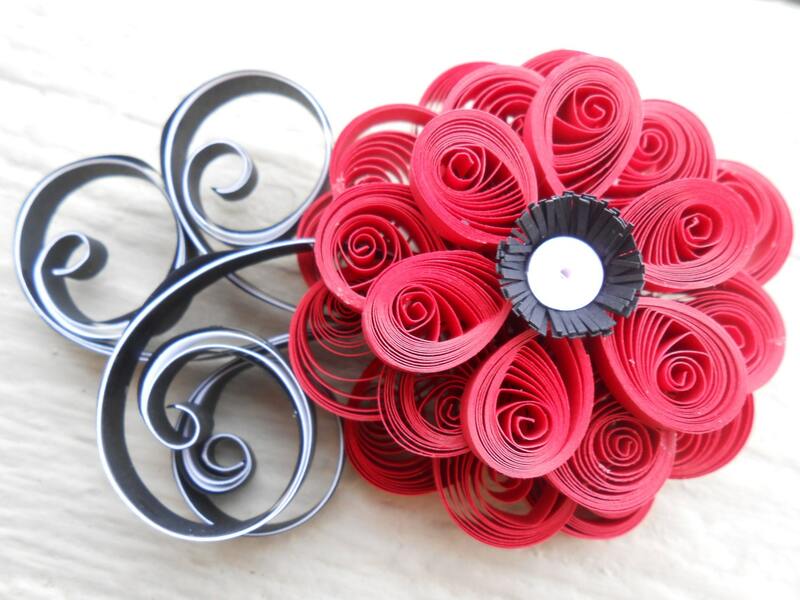 This cute hair piece can be done in any colors! 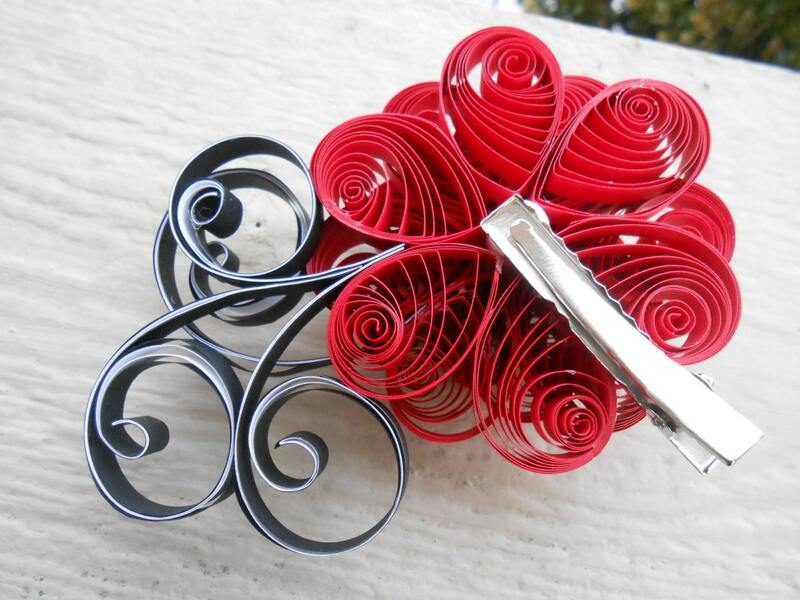 It is a super unique hair piece for your wedding day, prom night, or any other occasion. 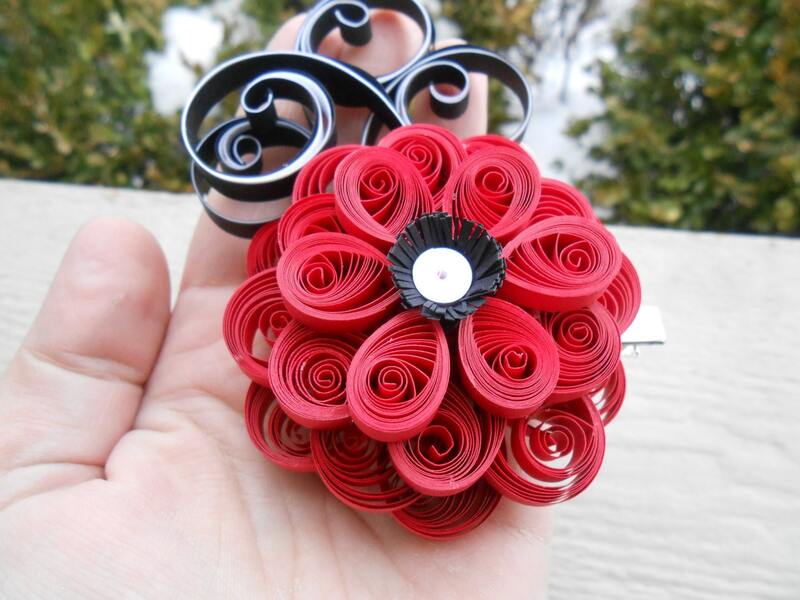 The hair piece is made entirely from paper (a process called Quilling), and has an alligator clip on the back. *PLEASE LEAVE ME A NOTE AT CHECKOUT WITH THE COLORS YOU WANT. 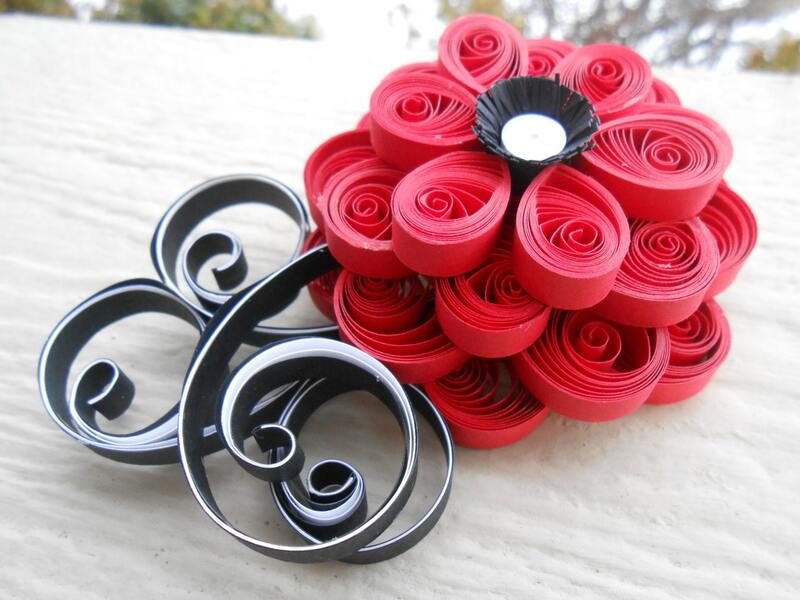 You can choose whatever colors you want for the flower and the "swirlies".